We've rounded up how to use essential oils, which have been making a splash in the wellness market. Essential oils have made a big slash in the wellness market this year — but for newcomers, the lightweight, aromatic oils can be overwhelming. That's why we've rounded up what you need to know, including what oils help treat what, how you can use oils and safety tips for using them correctly. One of the therapeutic benefits oils can provide is stress and anxiety relief. Essential oil company Edens Garden sells several calming blends, including Worry Less, which combines lavender, ylang ylang, frankincense and more (5ml, $9.95). For sleep aid, Amy Galper, a certified aromatherapist and co-director and founder of the New York Institute of Aromatic Studies, suggests using lavender, frankincense and clary sage. You can use one of these oils or combine a few of them together to make an oil blend. Many oil companies provide pre-blended oils, like Edens Garden, which provides a sleep blend of lavender, chamomile and other oils called Good Night (5ml, $7.95). Trying to prevent a cold? Galper says eucalyptus, peppermint and rosemary can do the trick. doTERRA sells a immune-boosting blend called On Guard (15ml, $42.67). To soothe muscle aches, try rubbing peppermint, ginger and orange oils into the problem area. Young Living oil company also provides a blend called PanAway that is formulated for tired muscles (5ml, $47.70). 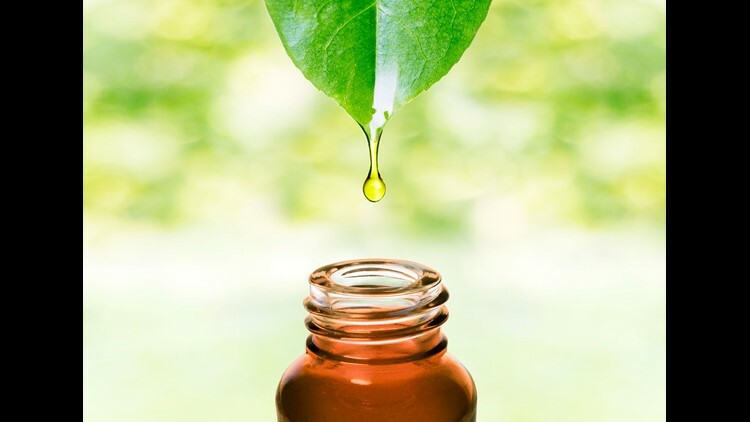 Tea tree oil is known as an effective acne treatment. The Body Shop uses tea tree oil in their Tea Tree Skin Clearing Facial Wash (8.4 fl oz, $14), and Plantlife uses a variety of essential oils in their line of aromatherapy soaps. There are two methods of oil use: topical and aromatic. Diffusers can be used for the aromatic method, which uses water to quickly disperse the oil into the air. This method has the strongest effect on your emotions and respiratory system, according to Galper. Diffusers range in size, style and price. Edens Garden's Ceramic Ultrasonic Diffuser ($49.95) is a great, easy-to-use starter diffuser that blends nicely into home decor. doTERRA's Lumo Diffuser ($93.33) adds a bit more, with different colored LED light options. The oils can also be used topically by rubbing them into your skin. This is particularly useful for localized treatments such as burns or skincare as it provides a physiological effect. 10% of essential oils get into your skin, according to Lora Cantele, a registered aromatherapist and executive director of the Alliance of International Aromatherapists, and the rest can be inhaled, providing a dual benefit. Cantele has two key rules for topical newcomers: Never use them "neat" (meaning without a lotion or carrier oil such as coconut oil to dilute them) and make sure to use proper dilutions (generally, one and a half drops of oil per teaspoons of lotion or carrier oil). Galper adds that users should not use photosensitive oils, especially citrus oils like bergamot, in direct sunlight as they can cause a skin reaction. If you ever experience a skin reaction to an oil, she suggests cleaning it away with a fatty oil like olive oil as opposed to water. Cantele also warns against using essential oils on or near the face of children under 7, and says to never use on children under the age of 2 unless working with a professional. As far as diffusing safety, Cantele says you don't need to run a diffuser all day. "The rule of diffusing is to do 20 to 30 minutes on and then take an hour or two off," she explains. “Any time you use a diffuser, you get nose blind after about 20 to 30 mins anyway, and running a diffuser for longer than 20 minutes isn’t going to be any more therapeutic and could be damaging to people with compromised systems." She also advised against ever ingesting essential oils.